In this post, we are going to talk about the New Amsterdam season 1 episode 13 release date, where to watch, and spoilers. As we know, the last episode featured Max and Georgia having their baby shower. However, those happy moments did not last long for Max, as he was feeling nauseous. He could not even concentrate on his work as he had to go for vomiting now and then. Then we saw Iggy coming to Max as he suspected that Max is not feeling well. On the other side, we saw Kapoor trying to figure out a way to make a lady see again. He decided to team up with Floyd to complete the surgery, but Floyd did not have any confidence. But in the end, everything turned out good, and the patient could see for the first time! So, let’s talk more about the next episode ahead! The show is also available on the NBC app, where viewers can stream the show online by logging in using existing cable TV subscription details. 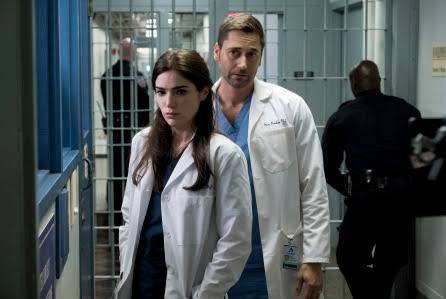 Furthermore, there are several online platforms such as Roku, Sling, DirecTV Now where viewers can watch New Amsterdam by streaming NBC channel at the mentioned time. We will see that Alex will not stop working in the hospital even though his health is not good. He will be having a lot of problems while serving the patients due to his struggles for treatment, but he will not stop! On top of that, Reynolds will choose costly surgery, as the synopsis suggests. Take a look at the trailer of the next episode!